Increase customer adoption, avoid abandonment. The rise of mobile wallets The rise of mobile wallets can be attributed to the adoption of this new payment technology by banks and Fintech companies. In this fast-moving digital wallet environment, where transactions and fraud intersect, there are several ramifications for financial institutions and user experience. 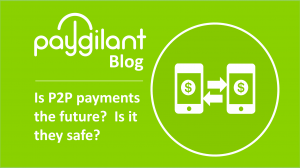 Paygilant SmartRISK fraud detection and prevention allow digital and mobile wallet providers to minimize fraud-related losses, increasing customer adoption abandonment. Paygiant’s six intelligence sets approach validates the end user’s true digital identity via data related to devices, behavior behavio, and transaction data anaysis. Paygilant’s real-time decision analytics platform provides additional insights to differentiate trusted customers from potential fraudsters. This knowledge allows digital wallet providers invaluable insight into who their customers really are and whether their transactions can be trusted. Paygilant stops fraudulent new account registrations – Fraudsters often use false, fake and stolen information to open accounts. These fraudulent accounts can be used to purchase gift cards (for ease of use and distribution) and money transfers and other fraudulent purchases. Paygilant provides a fraud detection solution that prevents cybercriminals from intiatting false accounts. Digital wallet owners conducting mobile transactions can often be the victims of transaction fraud. Fraudsters use stolen cards (darknet)based attacks to bypass simple device intelligence solutions by launching attacks from the user’s recognized device and authenticated session. Paygilant delivers strong device identification, while evaluating the overall security posture of the mobile device.